OFFRAMP SCI-Arc: Learning from Los Santos — Alephograph: Architecture, drawing and video games. An article exploring my Learning from Los Santos research project was featured in OFFRAMP, the journal of SCI-Arc, in a special edition called New Losangelisms. 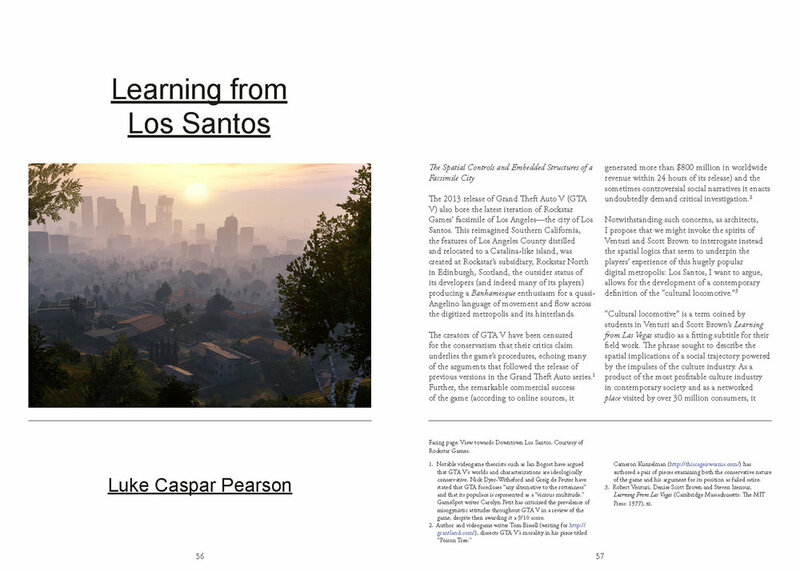 In the article I explore a number of ways in which I assess and unpack Grand Theft Auto V's version of Los Santos through design research. You can see more on OFFRAMP here.